About 100 miles south of Atlanta, next to a field just outside the town of Byron, there stands a plaque erected by the Georgia Historical Society marking the location of the Second Atlanta International Pop Festival, where from July 3-5, 1970, “Over thirty musical acts performed, including rock icon Jimi Hendrix playing to the largest American audience of this career.” Despite the overwhelming attendance (estimated to be 300,000-400,000), the festival and Hendrix’s performance in particular, has not received its due in terms of historic importance and impact until now. 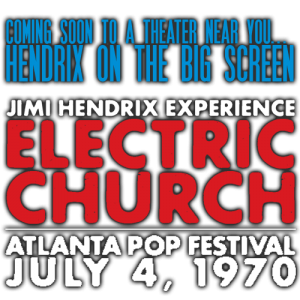 Originally debuting in 2015, Jimi Hendrix: Electric Church, the critically acclaimed documentary film about the music legend’s Atlanta Pop set and the circumstances surrounding it, will makes its theatrical debut in early 2019 and is set to make an historic run of limited engagements of select theaters worldwide. The film details the efforts by Atlanta promoter Alex Cooley to create the definitive music festival. Cooley secured such talent as Bob Seger, B.B. King and the Allman Brothers, but Hendrix was the critical component he needed to elevate the three-day festival to a major cultural event. 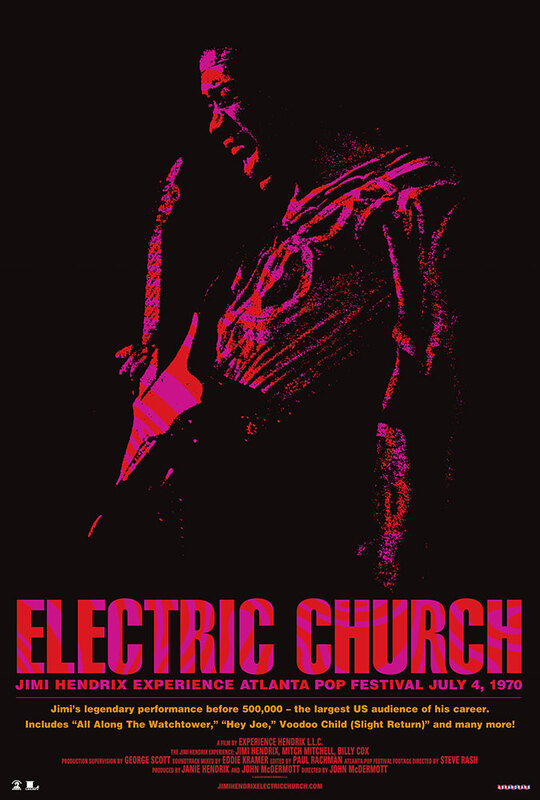 Electric Church features interviews with Hendrix’s Experience band mates Billy Cox and the late Mitch Mitchell as well as Paul McCartney, Steve Winwood, Rich Robinson, Kirk Hammett, Derek Trucks, Susan Tedeschi, festival organizer Alex Cooley and many others.